I have made a few orders with Pure Nuff Stuff, first it was shaving soap for my other half, then I decided to buy shower gel and foot soak shots. Pure Nuff Stuff is a brand I have had my eye on long before I started this blog. Products are free from the usual suspect “nasty” ingredients (SLS, parabens, synthetic fragrances & colours, petrochemicals etc). Slowly but surely I have been encouraging Mr Sugarpuffish’s to “clean up” his choice of facial products. I must admit I buy the products and strategically place them in the bathroom. I bought the shaving soap with a bowl (refills available) and I recommend picking up a shaving brush if you don’t already have one. Mr Sugarpuffish tells me he is happy with the soap. It took him a bit of practice to master the right amount of lather but otherwise he has been managing fine with the switch from aerosol shaving gels. This soap is scented with clary sage and lime but it is not a heavy fragrance. I suspected Mr S was mildly sensitive to mainstream shaving gels and I have noticed improvements in his skin, previously he would get a rash over his chin and I don’t see this when he uses the shaving soap. You certainly do get value for money as the soap with a bowl costs £6.50. I bought it at the end of September 2014, it is used weekly and plenty of product remains at this time. I had previously mentioned the Squeaky Clean Bath & Shower Gel in a post about unscented products (click here & here). I am really pleased I took the plunge to order this. The ingredients are simple and the option to buy without fragrance is always welcomed where my skin is concerned. This shower gel lathers up nicely on my Konjac sponge and I am very happy in the knowledge that it does not strip or irritate my skin. I chose the bath shots because I love the concept, they are budget friendly and you can pick scents depending on your mood. I recently have been enjoying foot soaks so I bought Fresh Feet and Arch Angel. My only criticism is the product was compacted into the tube so it did not pour out, I ended up using the handle of a sundae spoon to release the product but aside from this I think they are very nice salt soaks. 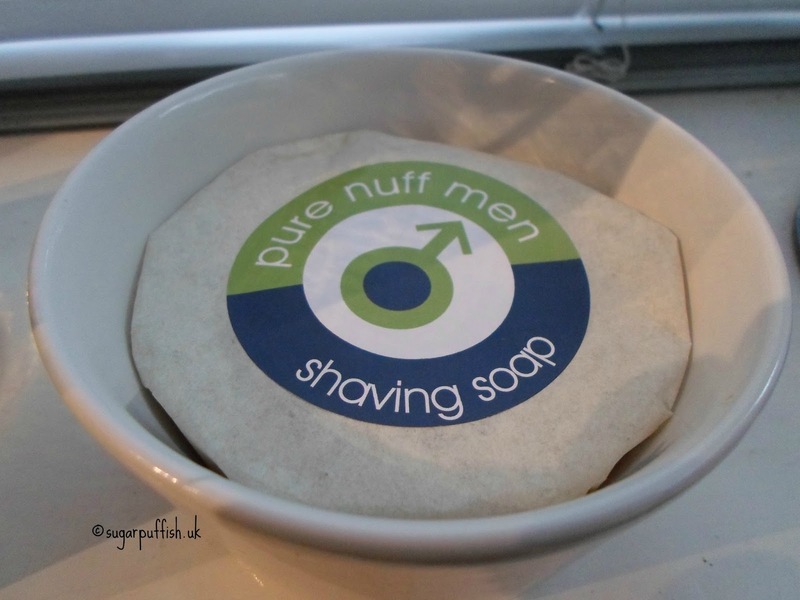 Pure Nuff Stuff has a large product range and I definitely recommend taking a look at their website. They may not have the most fancy of packaging but you will find honest ingredients and prices. UPDATE 13.04.15: After reviewing it came to light that Pure Nuff Stuff should not be using the Leaping Bunny logo on products/website. I've had confirmation from Cruelty Free International that certification was terminated in 2013. I am saddened by this information because I bought products in good faith. To date PNS have failed to respond to my email.